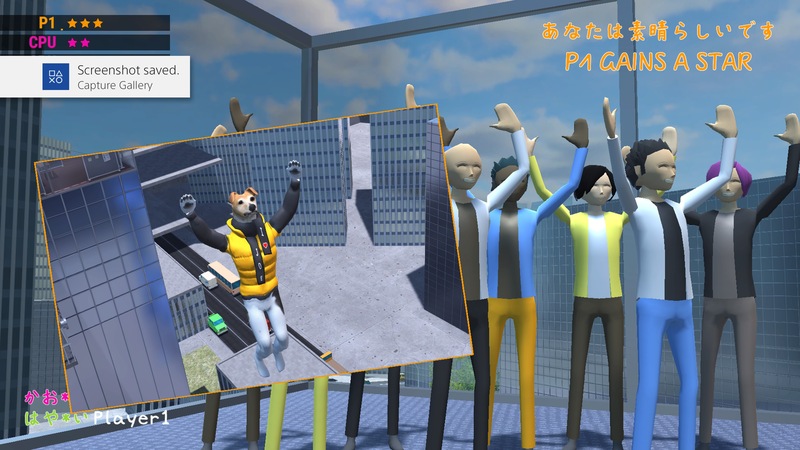 This Japanese gameshow-inspired Party/Racing game is developed by the UK based Onion Soup Interactive and published by PQube Limited, available on PS4, PC, Mac, Xbox One and Nintendo Switch. 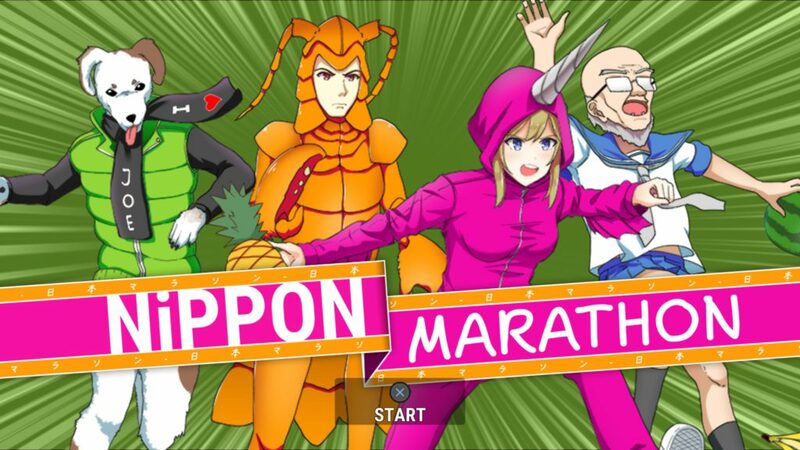 Nippon Marathon takes you on a hilariously absurd foot-race marathon set in Japan, together with its many wacky characters. You can choose to play the game solo in Story mode or you can invite some friends into the craziness that is Nippon Marathon in Versus and Party mode. You start the Story mode by choosing one out of four playable characters; J Darwin, a lobster-man seeking to restore his grandfather’s lobster farm. Nishibori, although often mistaken for a unicorn, is actually a heavy Narwal-enthusiast. Zenbei, a teenage schoolgirl trapped in an old sailor’s body. Last but not least, there is Snuguru, a dog-man, whose dream is to open a dating agency. These four unique characters try to race their way up to the top four and ultimately try the beat the beloved number one for ten years straight: Handsome Hazuki. KG Park, a former top four contestant, breaks character and seems to be experiencing a mental breakdown. This leads our main characters into an intriguing investigation after the mysterious and malevolent motives of the ever winning Handsome Hazuki and his companions. The Story and its characters are ridiculous, but the cutscenes are hilarious at times and together with the awkward physics and animations, the game often becomes a laughing riot. The game doesn’t take itself too seriously (and you shouldn’t take the game serious whatsoever either) and its Japanese themed characters and locations blend perfectly with the absurd premise. Although the Story mode is funny and awkward, after you complete the game with one character, the game just isn’t interesting enough playing solo to basically do the same thing three more times, be it with a different character. There are a bit too many cutscenes in between the races and although they are extremely funny, it leaves you wishing for a skip button. As you would expect, the game looks very colorful and bright, with each character having its distinct coloring and each level looking vibrant. Although the character models are extremely basic and lack any form of detail, their respective anime-styled characters next to the text boxes look great. The level designs are very unique and capture many elements of Japanese culture as well, albeit extremely ironically. There are a total of (only) 8 races, with each one distinctively different than the other. You race in unique places such as a temple village, a supermarket, a business office or an icy mountain all the way to the top of a speeding bullet train. 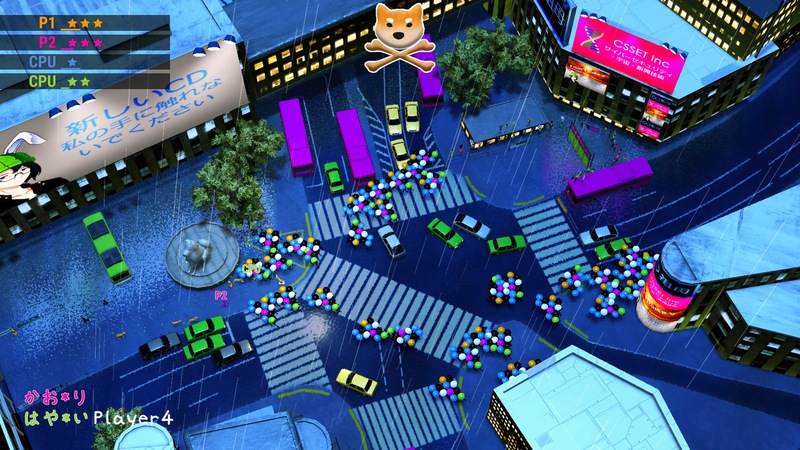 Each level has it’s own unique design, theme and obstacles and the game warns you for each of those obstacles by showing a flashy picture of the real-life variant of that obstacle. The game seems to blend English writing and Japanese writing perfectly. 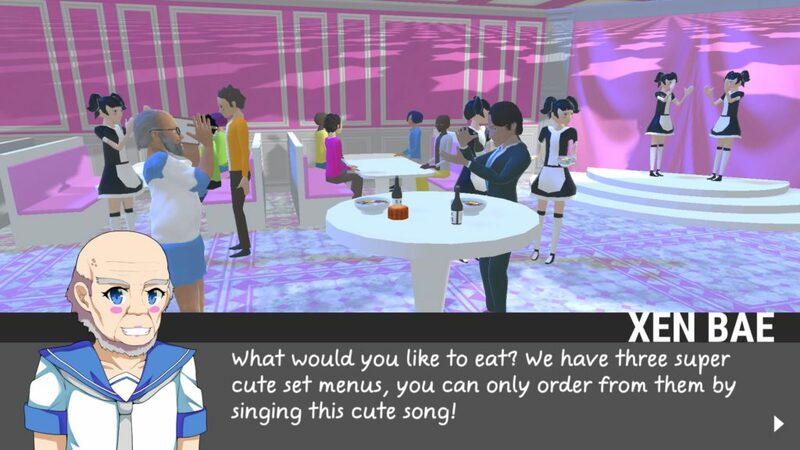 The important information, such as for example the character text boxes are in English, making it that you can follow what is going on in the story perfectly while also seeing a lot of Japanese writing to get a proper Japanese feel from the game. In the Settings you could change the spoken and written language to Japanese if you prefer that. The Music is a collection of very upbeat jazzy tracks that fits the game perfectly. What’s funny, is when the tone of a conversation shifts during the Story mode, the music abruptly changes with it, sometimes from an upbeat tune to an ominous one, so bluntly that it becomes very silly. From the sounds of falling objects or the grunting of characters, to the tapping of the shoes of the runners, the sound effects are very basic and sometimes sound “cheap”, but are always very on point. As is typical for Japanese gameshows, its sounds are very present and sometimes chaotic, adding to the rush of the race. All sounds and music in the game are borrowed from Freesound.org, and it is often very noticeable. As a default, the spoken commentary during the races is English (with a thick comical Japanese accent), but the spoken language of the game’s characters is Japanese, be it with only short exclamations at a time. The game makes it so that you always feel like you are in Japan or playing a Japanese game, while still having English as the main language and it is very effective. 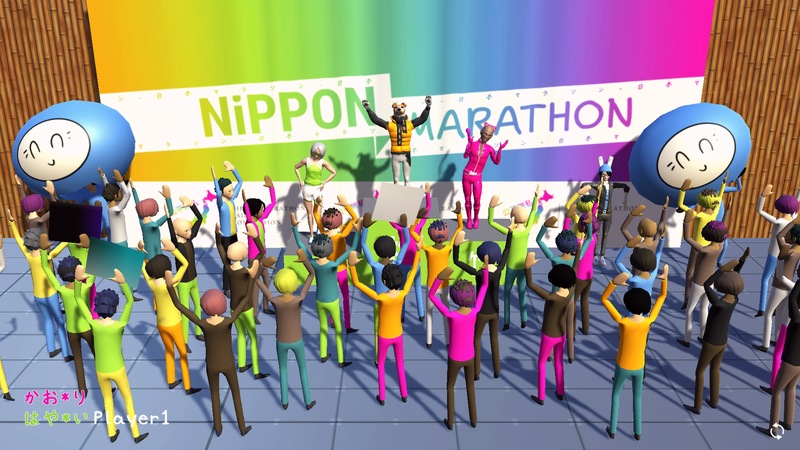 Nippon Marathon is a Party/Racing game. The goal of the game is pretty simple. You run through an obstacle-filled level, picking up items to boost your speed or hinder an opponent. You gain and lose stars, depending on if you were the last one standing or the first one to fall out of the race. At the end of the race a total of points is accumulated, based on the amount of stars you have gained, how many items you’ve used and which position you ultimately finished. The overall best contestant will win the race. After every race you will earn in-game currency with which you can unlock new characters and extra features. During the race, whenever a contestant is the last one standing, he or she will gain a star. All four contestants will reset on a certain nearby point, waiting for the commentator’s countdown, before running again. This is where sometimes you will be surprised by a variety of mini-games, such as who can give the best answer to Wedy, the famous reporter of the news channel, or you have to race the other contestants out of a small maze, or you’ll have play a slot machine for a bonus, all to gain extra points at the end of the level. In the Versus mode you can play with up to three friends in any of the races. You can choose to play a single race, play the first half of the marathon, the second half or the full marathon. In the Party mode there are two mini-games you can choose from. The first is called “L.O.B.S.T.E.R.” where you and your friends try to get as far as possible in a randomly created gauntlet. The second mini-game is called “Go-Go Trolley”, and is just a bowling game, with the exception that you have to throw yourself into a shopping trolley to propel it at the bowling pins. The Party mode is fun with friends but can’t compete with the Versus mode. Because there are only two mini-games to choose from and aren’t as fun to play as the marathon itself, it gets tedious after a while. The game, unfortunately, does not come without its flaws and some are so annoying that it ultimately brings down the score. 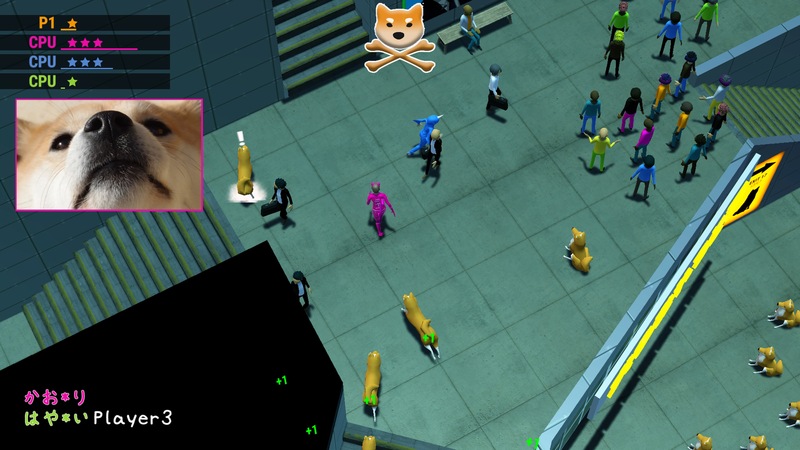 Nippon Marathon has many, many bugs and although some are very funny, some are just game-breaking. For example when you finish a race and the game doesn’t register and everyone just stands there awkwardly and you have to restart the game and do the race all over again. Or when you race against the computer and its character just bugs out and starts running in circles around itself waiting for elimination. Nippon Marathon really delivers on what it sets out to do. It is extremely absurd, fun and perfectly captures the Japanese theme. It makes for a great time and it hangs around a fair price for a small game like this. 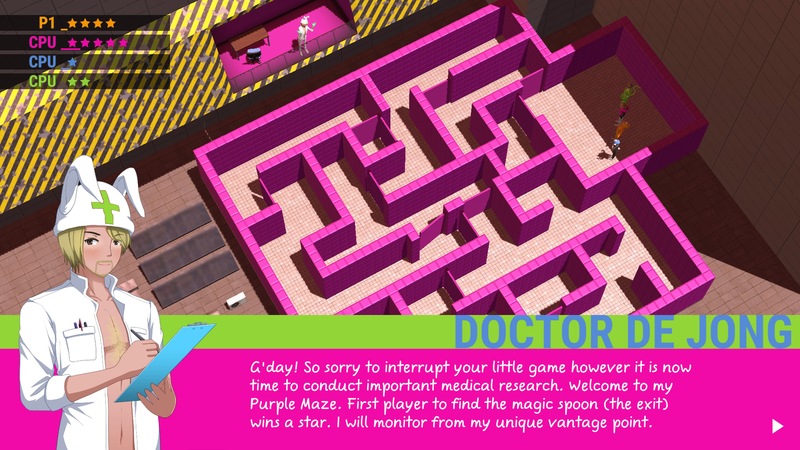 Playing the game solo can become tedious after a while and there isn’t enough content to keep the game interesting after you beat it one time, which only takes about 4 hours. Nippon Marathon does excel when played in short bursts and with company, making it the perfect game to enjoy with friends and family at a party, preferably with a beer at hand.